Make a spiritual statement in your designs with the TierraCast antique copper-plated pewter oval Om link. This flat, oval-shaped link features the symbol for the meditative "OM" sound on the front. The textured surface creates an organic style. The back of the link is blank. The Om symbol is sure to add Zen to style to any design. Open holes on both sides of the link make it easy to add to designs. Use it as the focal of a bracelet or let it lengthen a necklace. 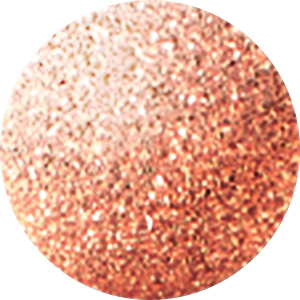 It features a warm coppery glow. Let spiritual style fill your designs with the TierraCast antique silver-plated pewter Om button. This circular button features a raised Om symbol decorating the surface. Om is a mystical sound of Hindu origin, important in Buddhist teachings. It's a great symbol for adding meaning to your designs and it adds a Zen feel to your style. The shank on the back center of the button makes it easy to add to designs. Use it as a closure on wrap bracelets or seed bead designs, or add it to sewing projects, bead embroidery and more. This button features a soft silver shine. Put a subtle spiritual symbol into your designs with the TierraCast brass oxide pewter Om button. This circular button features a raised Om symbol decorating the surface. Om is a mystical sound of Hindu origin, important in Buddhist teachings. It's a great symbol for adding meaning to your designs and it adds a Zen feel to your style. The shank on the back center of the button makes it easy to add to designs. Use it as a closure on wrap bracelets or seed bead designs, or add it to sewing projects, bead embroidery and more. This button features a dark golden brown shine. You'll love the meaningful look of this TierraCast button. This circular charm features the symbol for the meditative sound "OM" on one side. This symbol is sure to add a spiritual accent to designs. The loop attached to the back makes it easy to add to designs. Try it as a closure on wrap bracelets, use it in bead embroidery, and more. It features a golden brown shine full of vintage appeal. You can create spiritual style with the TierraCast antique copper-plated pewter Om button. This circular button features a raised Om symbol decorating the surface. Om is a mystical sound of Hindu origin, important in Buddhist teachings. It's a great symbol for adding meaning to your designs and it adds a Zen feel to your style. The shank on the back center of the button makes it easy to add to designs. Use it as a closure on wrap bracelets or seed bead designs, or add it to sewing projects, bead embroidery and more. This button features a warm copper glow. Add a spiritual vibe to your designs with the TierraCast antique silver-plated pewter oval Om link. This flat, oval-shaped link features the symbol for the meditative "OM" sound on the front. The textured surface creates an organic style. The back of the link is blank. The Om symbol is sure to add Zen to style to any design. Open holes on both sides of the link make it easy to add to designs. Use it as the focal of a bracelet or let it lengthen a necklace. It features a versatile silver shine. Accent designs with the spiritual style of the TierraCast antique gold-plated pewter oval Om link. This flat, oval-shaped link features the symbol for the meditative "Om" sound on the front. The textured surface creates an organic style. The back of the link is blank. The Om symbol is sure to add Zen to style to any design. Open holes on both sides of the link make it easy to add to designs. Use it as the focal of a bracelet or let it lengthen a necklace. It features a regal golden shine. You can add a meaningful symbol to your designs with the TierraCast brass oxide pewter oval Om (Ohm) link. This flat, oval-shaped link features the symbol for the meditative "OM" sound on the front. The textured surface creates an organic style. The back of the link is blank. The Om symbol is sure to add Zen to style to any design. Open holes on both sides of the link make it easy to add to designs. Use it as the focal of a bracelet or let it lengthen a necklace. It features a dark golden brown shine. Bring a spiritual message to your designs with the TierraCast antique gold-plated pewter Om button. This circular button features a raised Om symbol decorating the surface. Om is a mystical sound of Hindu origin, important in Buddhist teachings. It's a great symbol for adding meaning to your designs and it adds a Zen feel to your style. The shank on the back center of the button makes it easy to add to designs. Use it as a closure on wrap bracelets or seed bead designs, or add it to sewing projects, bead embroidery and more. This button features a regal golden shine. For a meaningful style, try this TierraCast button. This circular charm features the symbol for the meditative sound "OM" on one side. This symbol is sure to add a spiritual accent to designs. The loop attached to the back makes it easy to add to designs. Try it as a closure on wrap bracelets, use it in bead embroidery, and more. It features a regal golden glow. This TierraCast charm is a great option for yoga jewelry. This circular charm features the symbol for the meditative sound "OM" on one side. This symbol is sure to add a spiritual accent to designs. The loop attached to the back makes it easy to add to designs. Try it as a closure on wrap bracelets, use it in bead embroidery, and more. It features a warm copper glow.